Don’t shy away from fear, uncertainty and discomfort. It is always going to present itself and is the necessary raw fuel for success. I used to work hard to solve every possible negative issue in my life so I could find comfort. It is better to realize that challenges will always present themselves. If you face them, they can become essential to growth and success. I had the pleasure of interviewing Ken Arlen. As a 30-year veteran of the music business, Arlen has transformed live music for special events. 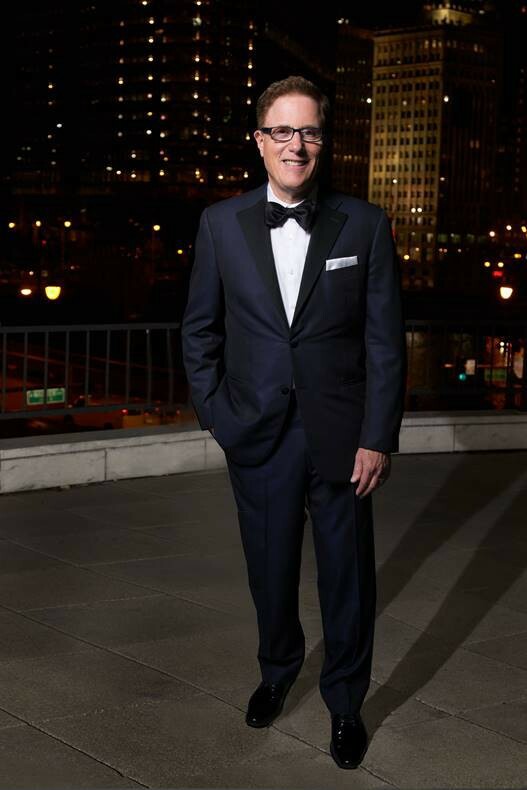 He and his company, Arlen Music Productions (AMP), design and execute customized performances for both local and national high-end social events that range from luxury weddings and galas to the Presidential Commander-in-Chief Ball. AMP employs over 75 core musicians within 10 exclusive ensembles who perform nearly any style or genre of music, as well as 10 production crew members to handle sound and logistics for each event. In addition to performing their respective instruments within each group, appointed band leaders for AMP work closely with clients to bring their musical vision to life. It’s a unique, personalized business model that has inspired a new standard in the competitive special event industry. 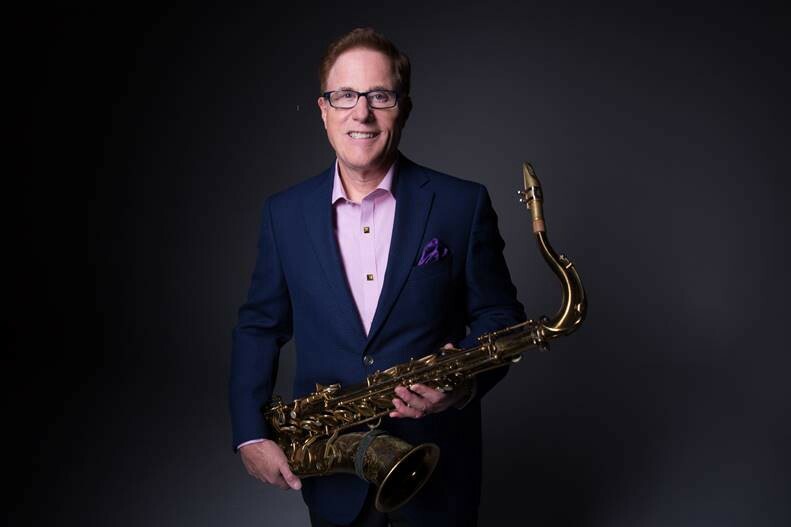 Arlen is also an accomplished saxophonist who leads the sought-after Ken Arlen Evolution Orchestra. As a producer, he has an ear for talent and actively recruits top-tier musicians from Chicago because he sees the city as an incubator for the best talent in the business. This uncompromising approach to quality has helped define the cutting-edge performances that AMP clients have come to associate with the Arlen brand. Early in my music career, I was a jazz saxophone player primarily performing in jazz clubs and playing as a sideman in other dance bands in Chicago. I heard about a new business coming to Chicago to operate the dinner cruise boat, The Star of Chicago, departing from Navy Pier. I was lucky to land one week of their 20-week season and decided to just play the music I loved regardless of its commercial appeal. One night the owner of the Starline Corporation happened to be on the cruise and heard me perform. Something in my performance connected with him and the owner went on to tell the GM how much he liked me and my performance. The next day I received a call from the GM asking me to take more dates. The next year, they gave me even more dates, and by the third year I was their music director performing and producing bands for 17 cruises per week. When the company expanded, I was hired as the music entertainment director for three boats in Chicago, Milwaukee and Louisville. At that point I became the largest employer of musicians in Chicago. Five years later, my cruise boat career ended as I moved into larger venues locally and nationally. I have really never looked back. Moral of the story, perform your passion, go outside of the box and let the magic unfold. After President George W. Bush was elected for his second term, I received a call from a gentleman in Texas named Wemus Grub who had gone to high school with President Bush. Grub had heard of Arlen Music Productions and our reputation for high-quality, highly-produced performances. I was shocked he was calling and had no idea how I was referred to him. As a result of our conversation and my demo recording, Grub hired me to perform at the first-ever “Commander in Chief Inaugural Ball” at the National Building Museum. The theme of the event was “Celebrating Freedom and Honoring Service.” It was a tribute to all the branches of the military. A tremendous honor! What was so surprising to me was the feature band at a Republican inauguration was being hired from the most Democratic city in the U.S. Wonders never cease! One of the funniest mistakes I made early in my career was to agree to perform at a mafia wedding. 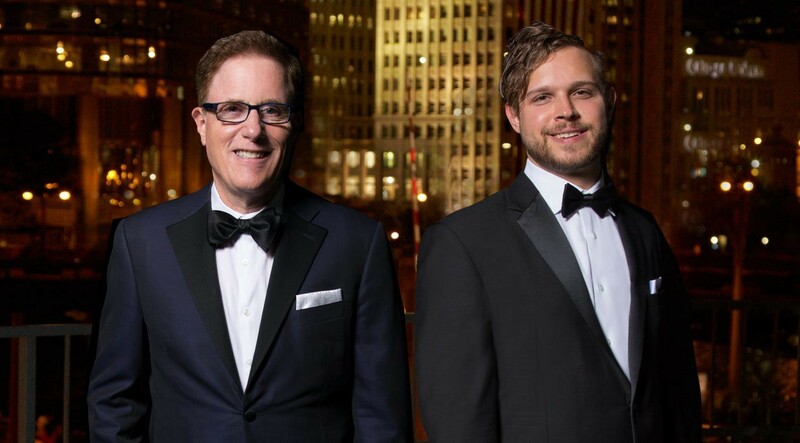 I was asked to meet with the groom’s father at a Chicago bar where he was accompanied by two men who were straight out of the cast of “Goodfellas.” The bride’s family was Jewish so the ceremony was with a Rabbi under a chuppah. Two minutes before the processional, the father of the bride walked up to me with another guy in tow. “Ken, this is Jimmy Damon, he’s a great tenor, work him in on a song, I dunno, like Ave Maria or da Lord’s Prayer.” He walked away and I was left with a Jewish wedding ceremony suddenly turning very Italian Catholic! Arlen Music Productions is preparing to perform at one of the country’s biggest New Year’s Eve events — the party at the Bellagio Hotel in Las Vegas. We are producing all of the music and coordinating with dance, aerial, cirque-style elements and world-class production. It is really a spectacular event and we will often spot famous celebrities in the audience. This will be our 14th year performing at this signature event and we reinvent our show every year. The expectation is for our band to sound like an authentic live concert of the artists we are covering. I enjoy delivering a highly produced show on a world-class stage! As a high-profile band leader in Chicago, I make friends with some very interesting and influential people. I’ve met the CEOs of many Fortune 500 companies who let down their guard around me because I really don’t travel in their social circles. Many of them are closet musicians and would love to sit in with the band! It is easy to burn out in music because of the energy expended and the lifestyle, so I am a believer in taking quality free time. No texts, emails, phone calls. A free day is complete detachment from the business. This is the only way to truly rejuvenate. I also highly recommend finding new interests and hobbies outside of your unique skill set. I love vintage cars and appreciate the history, aesthetic and experience of driving rolling art. I can spend hours reading and researching on this subject. When I come back to music I am refreshed. I also meditate for balance and connection. I am passionate about mentoring young artists on the mindsets needed to succeed in the arts. Over the years, I have made it a point to study the habits of very successful artists. I define an entrepreneur as someone who takes something from one level of value to a higher level of value. One of my key mindsets is educating artists that they are also entrepreneurs. Their product is their artistic ability and all the laws of commerce apply from packaging and marketing to building key and impactful relationships. The greatest impact I can have in the world is inspiring hundreds of young artists to follow their passion and in the process succeed economically while leading a balanced life. If you put out good intentions no matter how hard a challenge you will always land on your feet and be better off as a result. You can’t control what people do. Only how you react. Over the years I have had some key employees and talent leave my organization for various reasons. I have always been able to find and train replacements who bring new positive energy and end up bringing our performance to an even higher level. Relax and enjoy the journey because if you work hard with integrity and good intentions, life and business will always work out. It took me over 20 years to find balance in my work and personal life because of constant worry. Looking back, I wish I spent more time enjoying the process. You will learn more from your children than they will learn from you. I have two fantastic children who are incredibly successful in life. My son has a PhD in Political Science and now teaches at the University of Amsterdam. My daughter is the most talented composer/vocalist I have ever encountered. She lives in Brooklyn and performs under the name iDA Hawk. She is preparing to release her debut solo album and it is the best music I have heard in a long time. “The best investment you can make is in yourself!” My father taught me this at an early age. Best advice ever! He also taught me not to be afraid to invest in others’ talent and be willing to make less money than your employees when you are starting out. He advised me that a solidly built business would pay back exponentially over time. My mentor in business is Dan Sullivan. I have been in Dan’s “Strategic Coach” program for 26 years, and he and his wife, Babs Smith, have become dear friends. Dan is a genius at understanding the entrepreneurial mindset and has developed a program to give entrepreneurs all the tools necessary to evolve through growing a business. From “rugged individualist” where you are doing everything yourself, to building a “Unique Team,” and then from becoming an “Industry Transformer” and a“Game Changer” on the world stage. It is also cool that Dan loves jazz music, and I am the only musician in his program with over 5,000 clients worldwide.